Remember that song you heard when the club went off on Saturday night? Here is where you will find it. 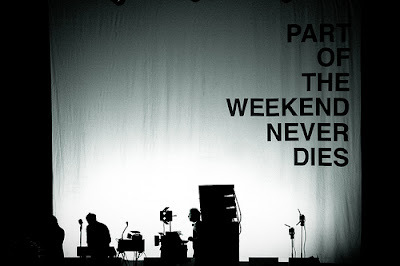 Breaking from the artist spotlight and mix postings, "Part of the Weekend Never Dies" will post the songs that will help you get over your weekend ending blues and prepare you to own the floor next week. Expect songs from superstars to nobodys, original bangers to the best remixes, and all in between.